A truly rare find in coveted Morton with 4-bedrooms, 3 full baths & over 1944 sq. 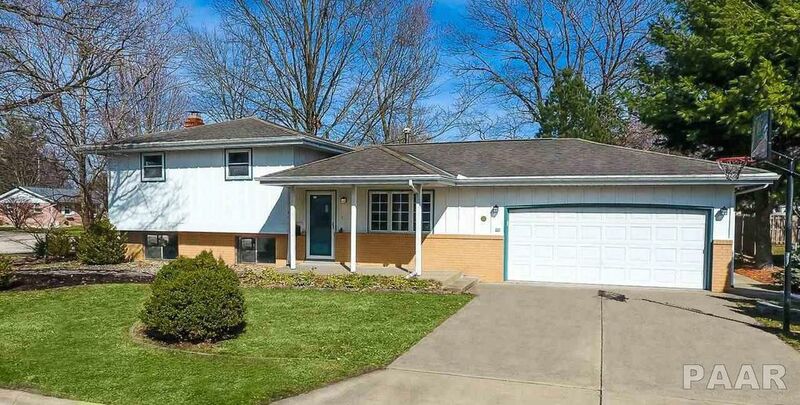 ft. for under $200, 000! This stunning newly remodeled home has the latest, trendy upgrades--remodeled chefs kitchen with marble design countertops, sparkling glass tile backsplash, new high-end Samsung appliances including self-cleaning convection oven for perfect Christmas cookies every time, refrigerator with ice maker in door & even LED lights to light up the room in any color to suit your mood. All upgraded bathrooms with high-end vanities, elegant faucets, fixtures & glass tile. You can relax in your own spa-like shower with multiple rain shower jets & then unwind by the rustic wood burning fireplace on chilly nights. During summer, enjoy the massive deck with built-in seating perfect for grilling and entertaining friends while kids play in the large, manicured backyard. All new paint & floors including carpet in bedrooms & vinyl plank throughout. It's like having a brand new home. Won't last long.